# 2F Villa Sanibel auf luxuriöse West Gulf Drive - Ein geräumiges zweistöckiges Ferienhaus mit Holzbalkendecke und clerstory Fenster unter dem Dach, die Diese Wohneinheit ein luftiges und helles Gefühl. Die zwei Schlafzimmer, zwei Badezimmer-Wohnung mit Dachboden ist voll ausgestattet mit allen Bettwäsche (einschließlich Strandtücher) und Küchenutensilien. Das Schlafzimmer verfügt über ein Kingsize-Bett, mit Doppelbett im zweiten Schlafzimmer und ein Tagesbett mit einem Pop-up trundle auf dem Dachboden, der den Wohnbereich überblickt. Unser Komplex, Villa Sanibel, ein zwanzig-Einheit Komplex am Meer, wurde umfassend umgestaltet - innen und außen - im Jahr 2006. Der Pool war wieder aufgetaucht und eine Terrasse mit Kopfsteinpflaster im Jahr 2005 installled. Der Tennisplatz wurde neu gemacht dann auch. Im Inneren der neuen Küche ist mit neuen Geräten, einschließlich einer Seite an Seite refridge / Gefrierschrank mit Eis und gekühltes Wasser durch die Tür und Granit. Mit nur 20 Einheiten bietet das Hotel Ruhe und Privatsphäre mit dem berühmten Strand nur wenige Schritte entfernt. Neben der Klimaanlage gibt es drei Deckenventilatoren für Komfort in allen Jahreszeiten. Ein abgeschirmten Veranda zum Essen mit Blick auf den Pool und Garten. Aktivitäten :: Eine der besten Beschuss Strände der Welt ist direkt vor der Tür. Das Beachview Golf Course ist zwei Minuten entfernt und Einkaufsmöglichkeiten, Restaurants und Theater sind in der Nähe, leicht mit dem Auto oder mit dem Sanibel schönen und sicheren Radweg, der direkt neben dem Komplex läuft zu erreichen. Der Bailey Tract des Ding Darling Naturpark ist zu Fuß erreichbar und die Tierwelt ist immer in der Nähe mit Delfinen, Schildkröten, Fischadler, ibis usw. gesichtet täglich. Beide Bäder verfügen über Umkleidekabinen. Villa Sanibel 2F is quite charming. The kitchen is well stocked if you choose to cook, the beds are comfortable, the location is perfect. This unit is well cared for and looks out over a sparkling pool. The beach is merely feet away. The two weeks we were there were filled with daily walks on the beach collecting shells, swimming and visiting with new friends around the pool, and our favorite gathering each evening on the beach to watch the magnificent sunsets. There are plenty of spaces to park bikes for riding the bike trail that is just across the road. We are planning on returning again next year. The location can't be beat, and the condo is comfortable and quiet. We cooked meals every day and thoroughly enjoyed beach time and time at the wildlife refuge. The central location, and right on the water, makes this pretty hard to beat for the price. So happy that you had a lovely time on our beautiful island. You saw just a few of our unique attractions. That's great because it leaves lots of things to enjoy on your next visit, like the Historic Village, the lighthouse, the canoe trail through the mangroves, and so much more. Come back soon! Great location. Close to beach. Some neighbor problems but generally friendly people. Needs minor maintenance. Few working table lamps with burned out light bulbs. Overall it's what is to be expected in a rental condominium. A few contract issues. Our stay was for two weeks. This condo is in an excellent location on the beach and a bike ride away from shopping, restaurants, grocery, etc. The condo was very comfortable and clean with everything we needed. The owner was outstanding to work with. Décor needed a little updating and there were a few very minor maintenance items. All in all a great place to stay. Thanks so much for saying such nice things! I am delighted you enjoyed your stay at our condo on beautiful Sanibel Island. Our condo is right at the mid-point of the island where the shelling is at its best, and the location makes it a great place to see everything the island offers. With the bike path right across the street it's extra easy to get around. 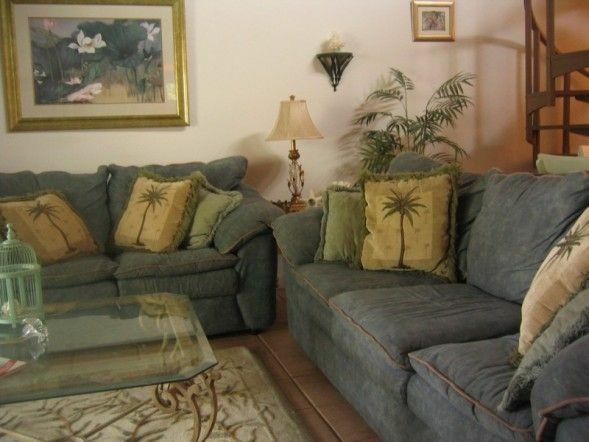 Each year we do a little up-dating and redecorating so it will be even more comfortable for your next visit. We want to keep it furnished with those things that will make you feel like you're at home but still create a away-from-it all atmosphere. Our association is always committed to keeping the grounds in beautiful shape and the pool and tennis court ready to offer our guests lots of fun and a great place to meet new friends. Hope to see you back again! Great location on the Island, close to grocery store and shops, yet secluded enough to be very quiet. Just steps to the beach and a great view of the pool from the lanai. We ate every meal on the lanai and my kids loved watching anyone in the pool. Pool is large enough. Grill at pool area. Bedrooms are large. Plenty of beach tools to use. We were there two weeks and really did not want to leave. The only issue we had was that the allocated parking space is in an unfortunate spot. Our car got hit and scratched on day 2 and an owner of another condo told me he has seen many cars get hit in that spot. We parked in the visitor spot the remaining time which was not a big deal at all. Thanks so much!! Delighted you loved wonderful Villa Sanibel. Thanks for the news about the parking spot - I am having the bushes nearby trimmed for more room. The place was really nice, very comfortable and great to be so close to the beautiful beach. The condo was spacious and was plenty of room for several of us. The information provided was also really helpful in finding places to eat and fun things to do. I will definitely return many times.